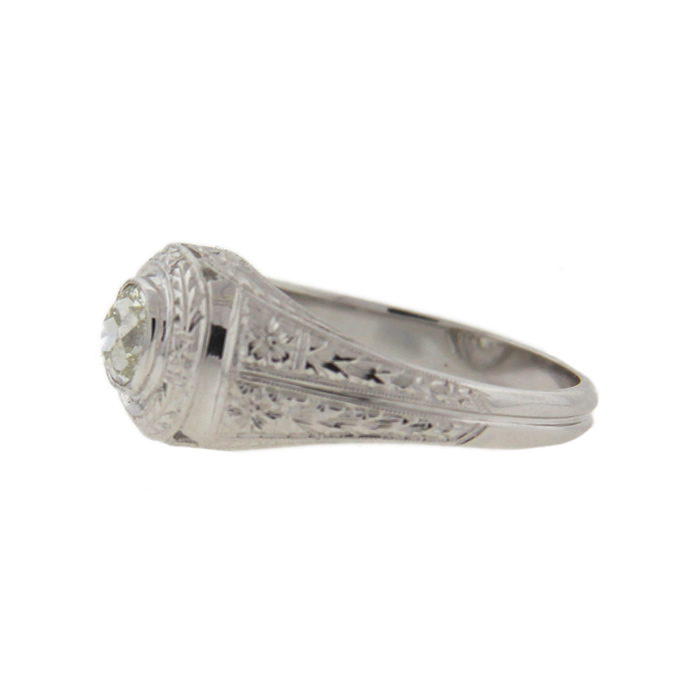 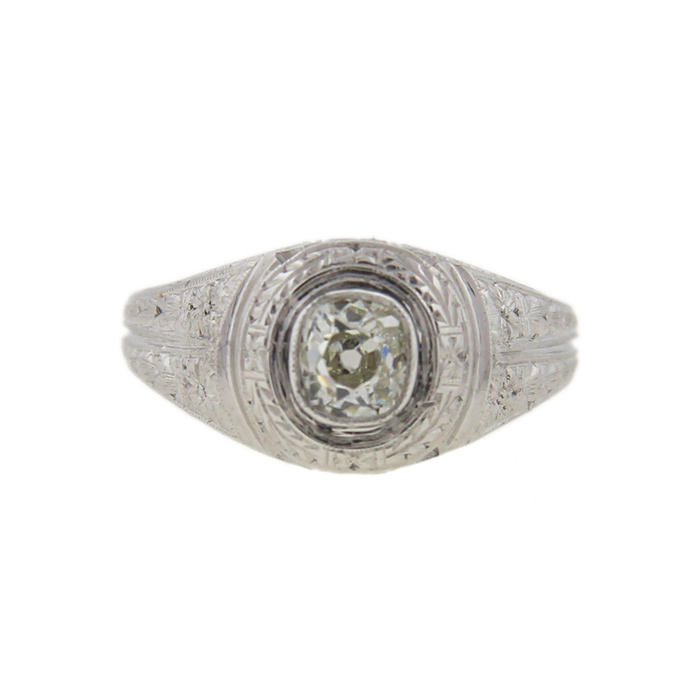 An exquisite antique diamond ring! 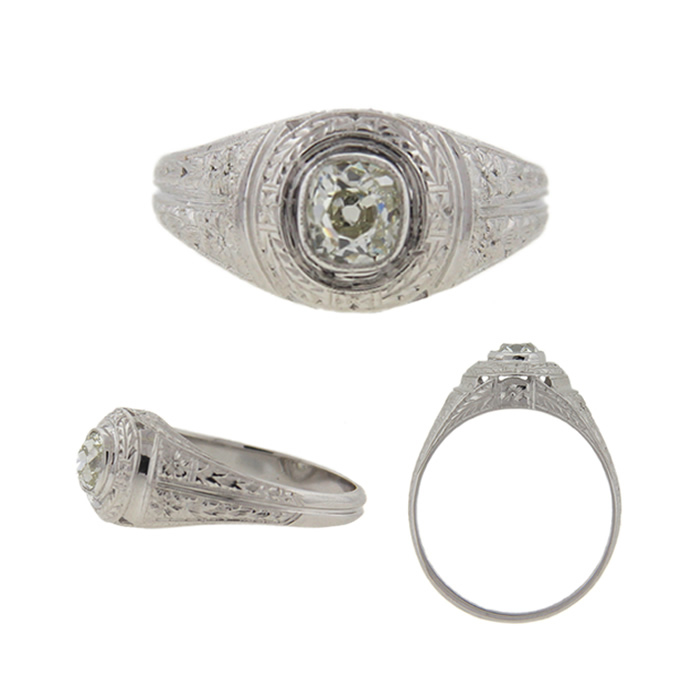 One sparkling old mine cushion cut diamond is bezel set in an 18k white gold orange blossom pattern setting that is in pristine condition! 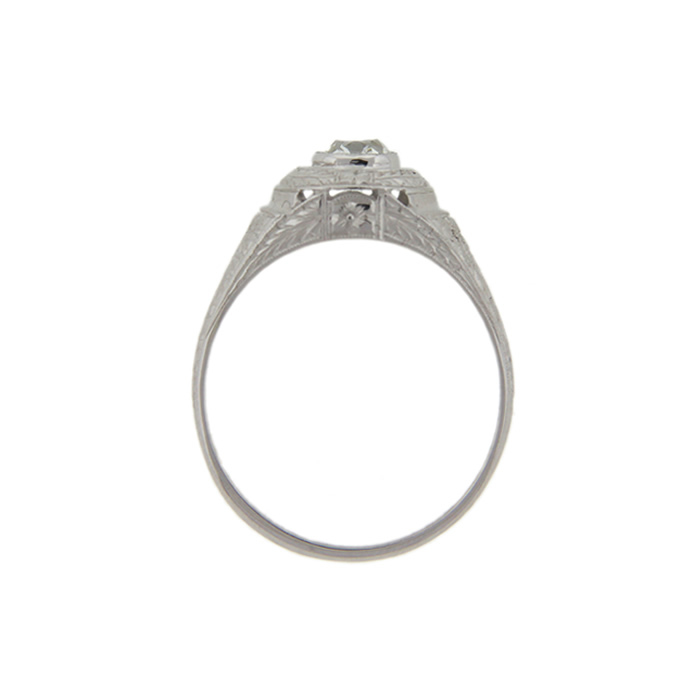 • Old mine cushion cut diamond weighs approximately 0.73 ct.